These aerial pictures were taken from a camera rig suspended below a kite (Kite Aerial Photography – KAP). 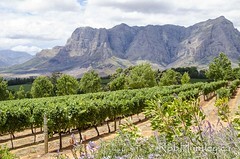 Click on any of the image to go to the same image in my Getty Images portfolio. 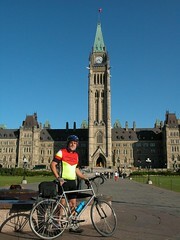 This session was planned to take advantage of the late afternoon light shining on the Ottawa Skyline. 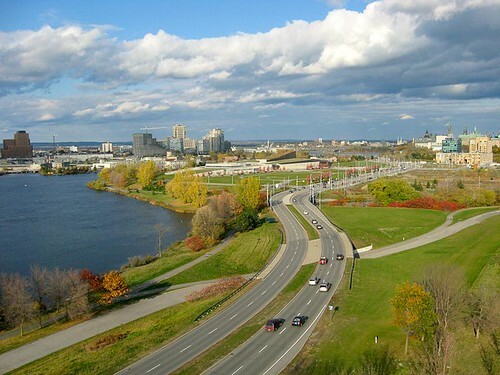 The view is always great when driving along the Ottawa River Parkway towards the city over the rise at the level of Lemieux Island and the Bayview Transitway Station. 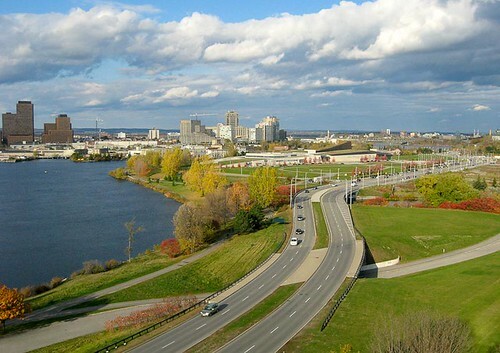 So I made the goal of this outing to make low-level aerial images of the nicely lit skyline with the Ottawa River Parkway providing lead-in lines. The wind was great for the FLED with fully remote rig. 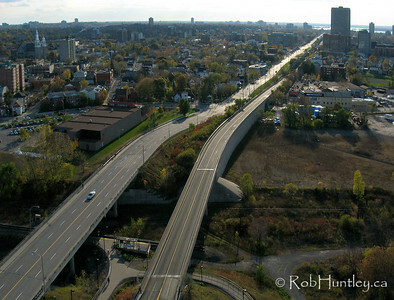 I took advantage of the location to also take shots of the Bayview Transitway Station, Lemieux Island and the old Prince of Wales Railroad Bridge, and the transitway in two directions: leading into the city and also leading away from the city alongside Scott Street (but shooting more or less into the sun). These images were taken from a camera suspended below a kite line, a method known as kite aerial photography or KAP for short. 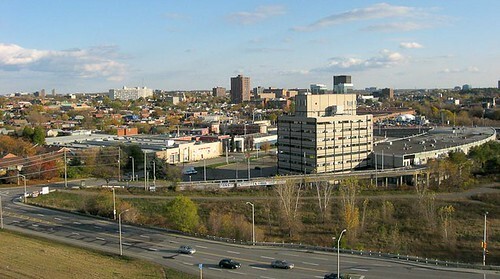 Aerial view of the city of Ottawa skyline and Gatineau (Hull) on the left. 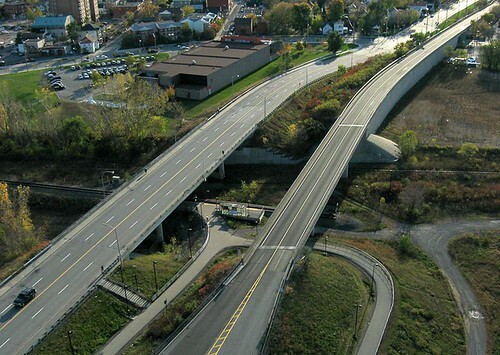 Aerial photograph of the O Train station at the Bayview Transitway Station. Looking down Scott Street on the left and the bus transitway on the right. Tom Brown Arena is at the top left. 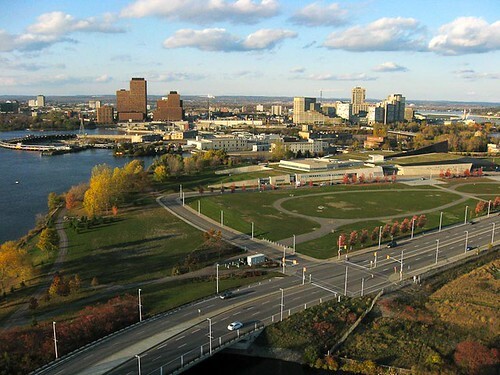 Aerial photograph of the City Centre building near Lebreton Flats. 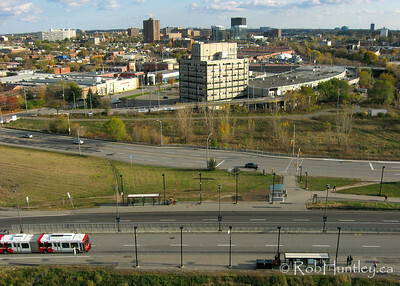 Bayview Transitway Station in the foreground. 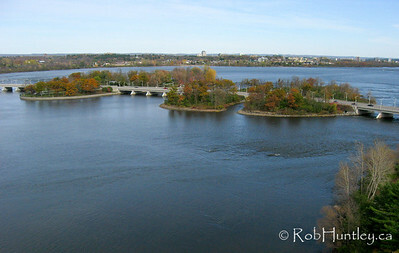 Aerial view of Lemieux Island and the Prince of Wales Railroad Bridge and me. 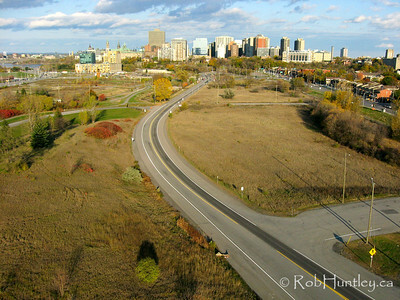 You can see additional pictures in the Kite Aerial Photography Gallery – Lebreton Flats at Bayview Transitway Station – October 30, 2011. I launched this session in the Westboro area of the Ottawa River, where Churchill Avenue almost touches the Ottawa River Parkway. I then walked along the shoreline as far as possible eastwards towards the Champlain Bridge. I could have gone closer if I was prepared to get my feet wet to get past a tree with the kite line. 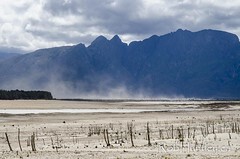 This was a relatively low-wind session where I used my autokap rig suspended below my FLED kite. Autokap stands for Automatic Kite Aerial Photography whereby a light weight camera rig is used with the capability to automatically shoot pictures at 8-10 second intervals after turning about 10 degrees between shots. The angle of the shot has to be set before launching. Therefore in this situation I do not have the benefit that I would normally have with my heavier fully remote-controlled rig where I can control pan and tilt and firing. I also do not get a video downlink to see if I have good composition or whether in fact I have even hit the target. My goal with this session was to pick up some of the late autumn colours and to get a different angle on the Champlain Bridge to my previous attempts. 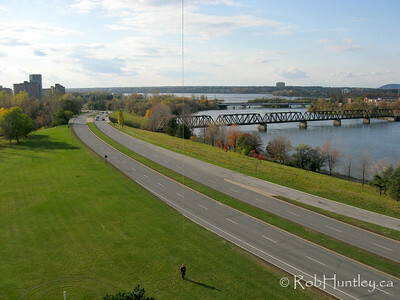 Ottawa River Looking East Towards Champlain Bridge. Semi-wild shoreline and habitat along the Ottawa River. 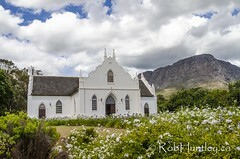 Includes kite flying photographer and kite line. 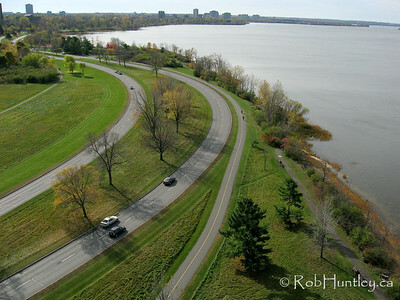 You can see additional pictures in the Kite Aerial Photography Gallery – Ottawa River Parkway at Westboro – October 29, 2011. 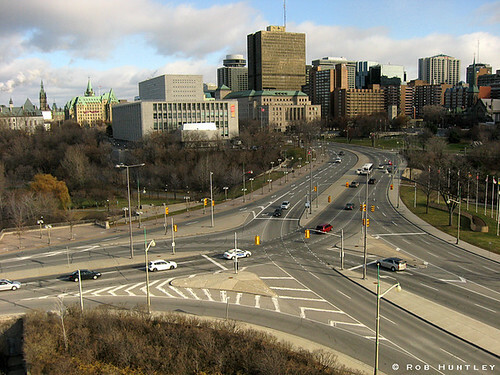 The approach to Ottawa from the Ottawa River Parkway which runs into Wellington Street. 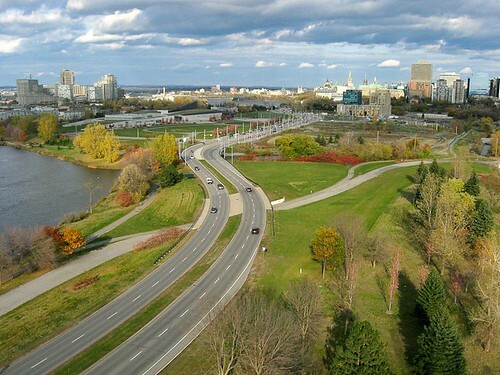 The Portage Bridge is out of the picture on the left hand side. 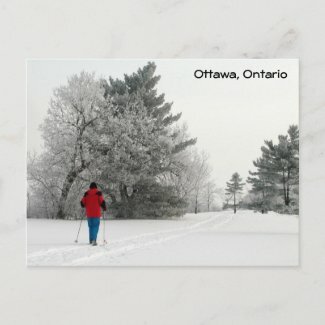 Here’s my new postcard design of a woman in red jacket cross country skiing. Trees with hoarfrost in the background. This photo was taken in Ottawa, Ontario, Canada along the Ottawa River Parkway.